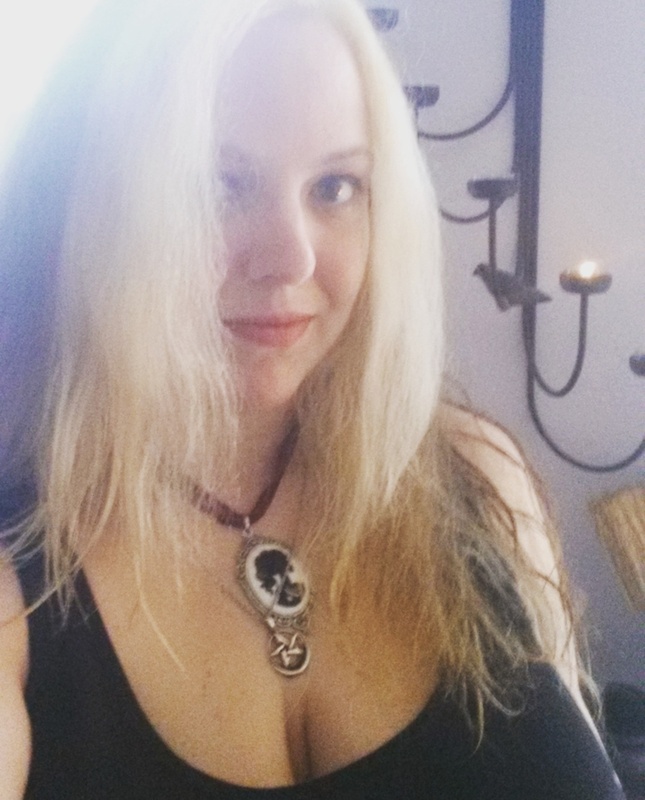 Home » .News » Pagan Research in Progress: Witches & Heathens, I need your help. AMBER LOVE 29-AUG-2016 Today I emailed a few friends, one large group that I haven’t seen in a decade, and a brand new friend in the Craft. I’m interested in interviewing people who use modern technology while practicing old traditions. I’m in New Jersey and took classes in New Hope, PA so Skyping for these interviews is my best option if people aren’t in the NJ area. I’m pretty uncool for someone who is online constantly (#oldfart) and I’m sure there’s a lot I don’t know. So what I’m looking for is anyone who uses tech stuff as part of their Craft. I was thinking there are probably certain hashtags to follow, any apps that make it easier, any online books of shadows that are popular, etc. I’d also like to hear from people who have been able to make some income from their Craft through either online readings or places like Etsy and Patreon. lead virtual prayer circles, healing rites, spellcasting through the internet? 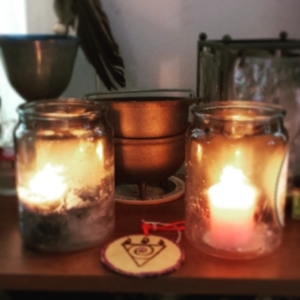 have a strong platform on social media about witchcraft, paganism, Asian or Native American beliefs? use specific websites to sell your wares? use digital books for research or keeping your own book of shadows? If you do any of those things, you are probably the kind of person I want to interview. 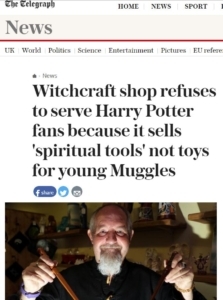 Sometimes pagans make the modern news and it’s not because anything good happened. Native Americans hate the way J.K. Rowling has bastardized their cultures. Harry Potter, while being great as entertainment, is not meant to be studied as a scholarly work on how to practice witchcraft. I love it as fiction (even with some facts woven in), but I recognize its flaws in coming from a place of privilege and Colonialism. 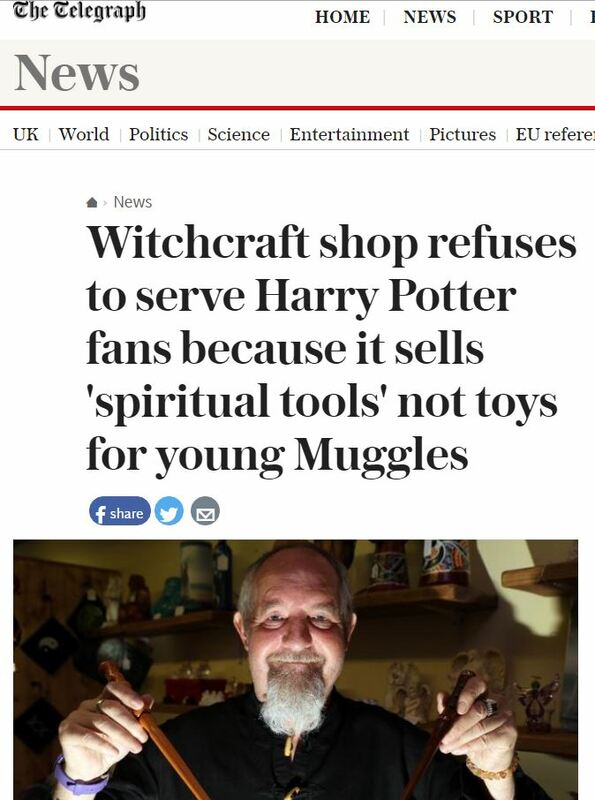 There was also the recent headlining story about how the shop, Mystical Moments, won’t sell “muggles” wands for cosplay or as souvenirs because they aren’t real witches. I started following a few people on Instagram specifically because they post pretty pictures with motivational sayings for witches — though some are definitely not Wicca practitioners who believe in the threefold law which is fine, they are who they are. A lot of people under those hashtags seem to be vendors of clothing or crystals; I found some tarot readers to follow who post daily spreads; and there’s a glut of gorgeous young goth girls who I don’t know how truly witchy they are (cynical me). If you or someone you can introduce me to uses technology in your practice, I want to interview you for this project. I was going to post this publicly on Facebook and then tag people, but then I realized that might be outting someone. I’m usually on Facebook during the week, but don’t have Messenger installed so people can always try emailing instead at amberlovescomics at gmail dot com. 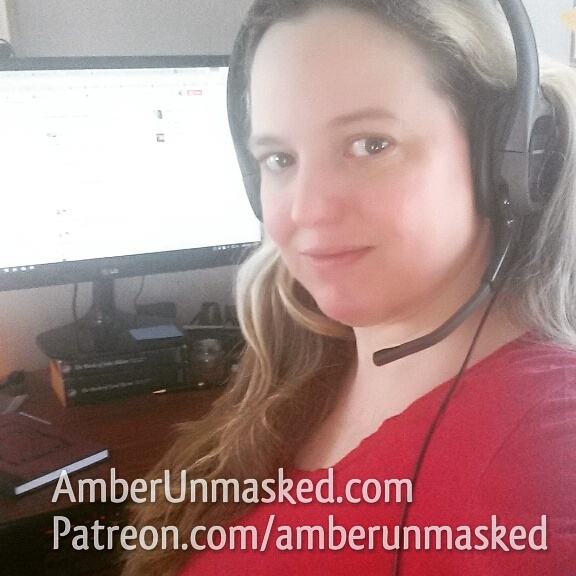 Also, if you can’t participate in this research phase of the project but can financially support my work, please go to Patreon.com/amberunmasked and become a monthly backer. 2 Comments on Pagan Research in Progress: Witches & Heathens, I need your help.